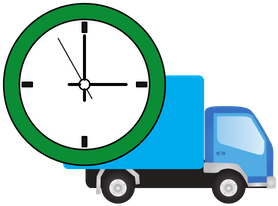 Sawgrass Movers | NO Fuel or Travel Charges. Call For A Free Quote! Have a Stress-free Moving Day! St. Johns Moving and Storage is here to take the hassle from your moving day! We offer safe and reliable services for residential and commercial moves all over the Sawgrass area. Whether you’re moving your entire home or office, we’ve got you covered! Our dependable, trained, experienced Sawgrass movers will be there from the beginning to the end of your move! Moving day will be hassle-free with St. John’s Moving and Storage. We will make sure your move is a pleasurable experience! We make sure everything is well protected, so you arrive with everything just as it left. Our professional team will ensure each and all of your belongings are handled with the upmost care. 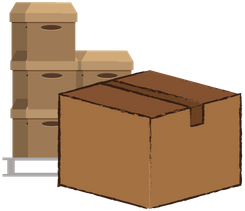 We’ll securely pack, wrap, and pad all your belongings. And you don’t have to empty the drawers! Our professional team understands the importance of taking care of your valuables and will even crate or secure glass, paintings, Large TV’s, and other fragile items. Here at St. Johns Moving and Storage we want you to have a pleasurable experience with a totally stress-free moving day! Every one of our Sawgrass movers are courteous, trained by us, and have the speed, skills and experience to make your move the best move. Each one of our members has passed a detailed background check and hold themselves to the highest safety standards possible. We take those extra steps to ensure a smooth and worry-free move. For extra comfort we are insurance backed and have a safe and secure guarantee. Why choose us for your Sawgrass move? So, with your next move just coming up fast, why not give the professionals at St. Johns Moving and Storage a call? Speak to one of our customer representatives and get a free estimate on your next move with St. John’s Moving and Storage. Our team is here for you, whether it’s residential, commercial, long distance, or local. Give us a call today and speak with our friendly Sawgrass movers to get started on the best move of your life! We service the following zip code in Sawgrass: 32082. Call or email & speak with a friendly teammate fast. We are on standby to answer any moving questions. We guarantee fully transparent pricing. No hidden fees of any kind. We treat your stuff as if it were our own: safe & secure, with respect. experience is as smooth as possible.